'The NIS Activities and Events' support the vision and mission of the school. 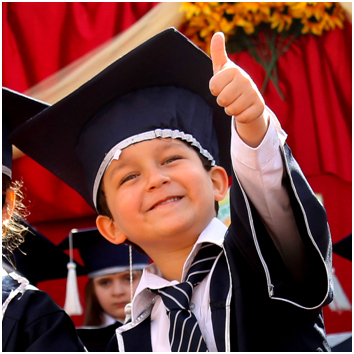 Although one of the main aims of the school is that of academic achievement, we are committed to our belief in the value of a holistic educational experience, which we believe supports and enhances our academic aims. We view 'The NIS Activities and Events' as an integral part of the NIS educational experience. The NIS Activities and Events' programs provide students with the opportunities to develop their own talents, interests and aspirations. These aspects of school life also foster and nurture the personal and social development through the exposure to teamwork, sportsmanship, winning and losing, and hard work. Through immersion in the NIS Activities and Events programs, students develop self-discipline, build self-confidence and develop skills to handle competitive situations. Participation in activities teaches valuable lessons that cannot be learned in a regular class routine. Curricular Activities: During curriculum time NIS organizes regular events which take place at various times during the academic year. These activities include Book Week, Math Week and Science Week which are designed to captivate the imagination and develop student motivation. NIS also uses termly academic projects, which are based on the theories on Benjamin Bloom and Bloom's Taxonomy. This is supplemented by our Bonus Merits Competitions, which encourage family participation, creativity and thought. Co-Curricular Activities: In addition to curricular activities NIS also organized activities that supplement the curriculum, which have a competitive element. Children are encouraged to use their knowledge and skills within a series of competitive and enjoyable scenarios. These events include Spelling Bee, Public Speaking, Visual Arts, Math Challenge, Science Quiz, General Knowledge, ICAS, UKMT, etc., enhance and complement the curriculum of the school. 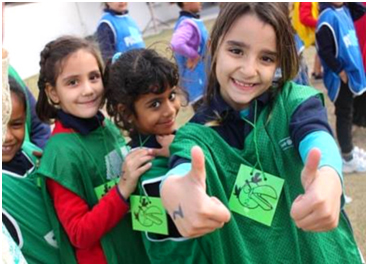 School Events: At NIS we organize a range of whole school events, where a high level of student involvement is expected. These include; Open Day, Graduation Day, Sports Day, Family Sports Day, Inter-school Soccer Competition. Recognition Day / Prize Giving Day: Student achievement is regularly celebrated at NIS. Ordinarily this is undertaken during the weekly assembly periods. One major calendar event at NIS is Recognition Day/Prize Giving Day, where the major academic awards are presented to students. These include the coveted Certificates of Honor and Best in Subject Awards. The presentation of these awards is done during a Special End of Year Assembly. Extra-curricular Activities: During the period when the weather in Saudi Arabia is pleasant (from October through to March / April NIS offers an after school extra-curricular program. This is divided into two sessions, giving students the opportunity to participate in at least four different activities during any one academic year. Activities take place on Sunday, Tuesday and Thursday afternoon from 2pm to 4pm. The range of activities varies annually, depending on the skills and interests of the school community. Examples of activities include Table Tennis, Volleyball, Soccer, Inquisitor, Chess Club, Art and Craft, Debating and much more. 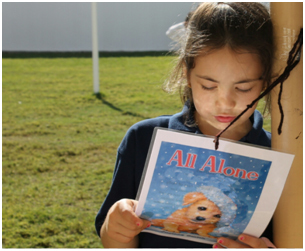 We encourage all children from G1 – 12 to actively participate in these after school activities. Field Trips: NIS has two scheduled field trips within the academic year. The duel aims of these field trips are fun and some educational purpose. During the past few years NIS has visited Buzzy Bees, Al - Othaim Mall, Al - Ahsa Mall, Sunset Beach, Toy Town Dream Park, Sci – Tech, Gara Mountains and Hofuf Museum.